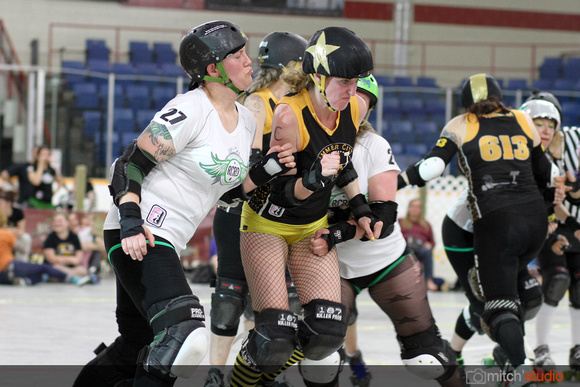 After our New Hampshire trip, Heather played in a few more travel season bouts. I was fortunate enough to go with her to several of these in the early summer. Here are just a few photos from those awesome weekend trips. The Canadians let us across the border to allow us to compete in Hamilton, ON. 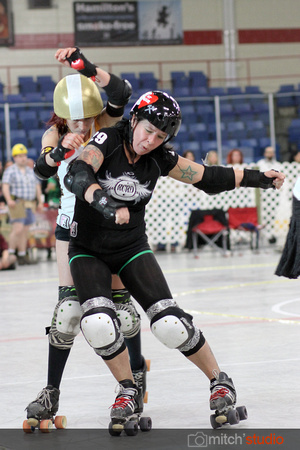 Thanks to the Hammer City Roller Girls for hosting this double header! 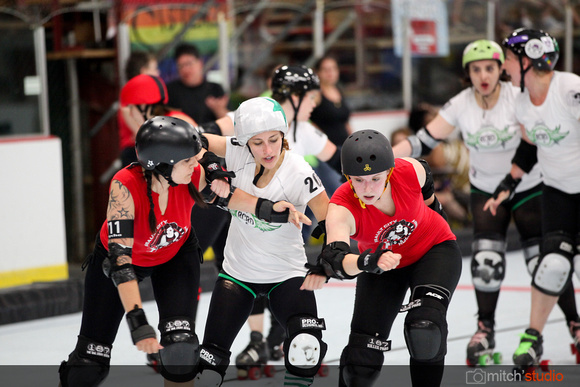 More photos can be found here from this bout. Hudson Valley Horrors Roller Derby league at the Hyde Park roller rink. 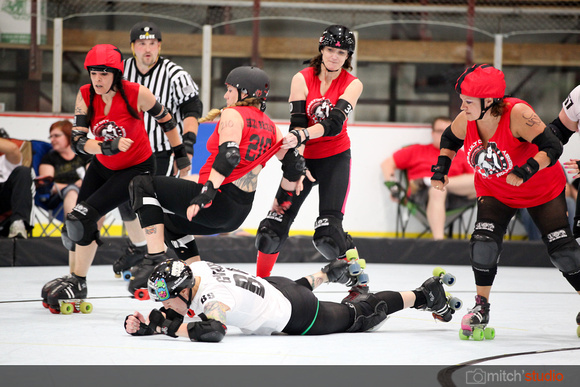 More photos from this bout are up here. 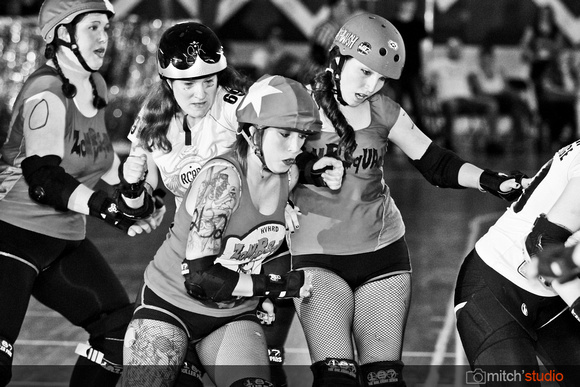 Assault City Roller Derby league. This was another double header. More photos are up on mitchsgallery.com here. 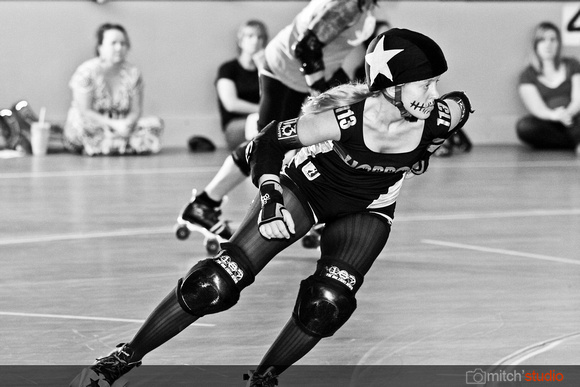 As always, go to http://www.mitchsgallery.com/rollerderby to see all of my roller derby photos!